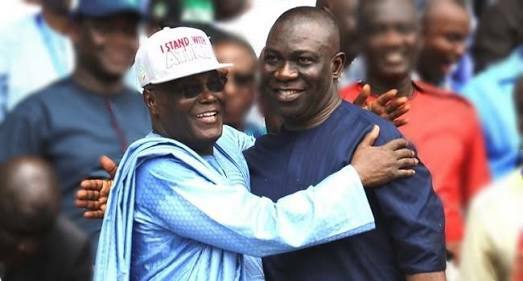 The Peoples Democratic Party (PDP) on Monday appointed the deputy senate president, Ike Ekweremadu as Technical Adviser to its presidential candidate, Atiku Abubakar. In a statement by its national publicity secretary, Kola Ologbondinya, the party also named the Speaker, House of Representatives, Rt. Hon. Yakubu Dogara, Mallam Sule Lamido and Senator Ahmed Makarfi as Technical Advisers. Ekweremadu had been rumoured to be secretly working for the success of the All Progressives Congress (APC) candidate, President Muhammadu Buhari. But, in a series of tweets on his official Twitter handle on Monday, Ekweremadu described the rumour as “cheap blackmail” and “propaganda”, vowing to ensure the PDP coasts to victory in the entire South-East region of the country.